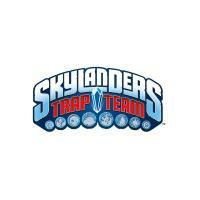 Skylanders had to raise its game this year. It may have edged out Disney Infinity gameplay-wise in the past, but 3.0 brought Star Wars to the proverbial kid’s party, which just can’t be ignored. That’s before LEGO Dimensions gate-crashed proceedings, wanting a piece of the ever-growing cake. 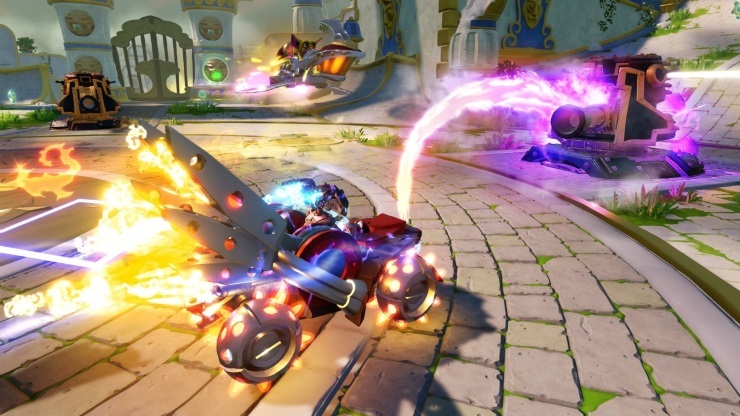 With Superchargers though, Skylanders has brought a few presents of its own: vehicles. 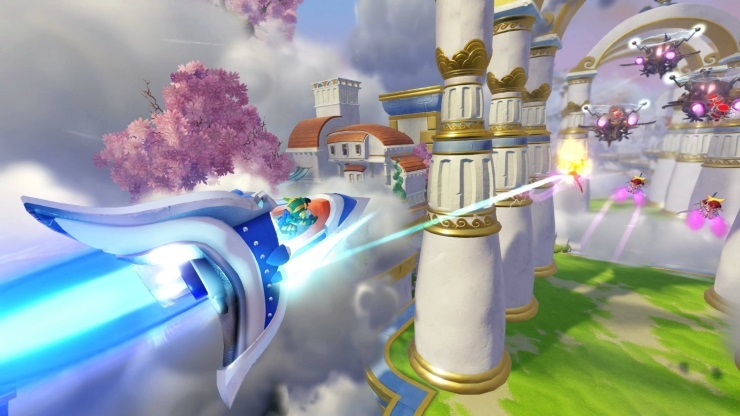 Split across land, sea and air, these vehicles break up the traditional Skylanders platform-puzzle gameplay with vehicular combat and race sections, adding a fresh twist to the series. Each handles in a similar manner, with R2 acting as accelerate and the face buttons taking care of your weapons and abilities. You’ll battle your way around arenas and other, more linear, tracks, fighting off enemies and chasing after bosses – it’s exactly what you would expect from vehicles in the Skylanders universe, but that’s by no means a bad thing. Each type is subtly different. Packaged in the Starter Pack is a land vehicle, which is all you technically need to complete the game, but the air and sea ones are more interesting. As you’d guess, planes and helicopters allow for more 3D movement, swooping down and around obstacles and enemies, while sea vehicles can submerge to navigate water sections and dodge surface projectiles. They change up the pace from the standard Skylanders on-foot sections that link them up, with each level having at least one of each type. Levels each have a twist on them. One takes place on the back of a gigantic dragon, causing platforms to move and shift, while a later area is obscured by clouds, which can be cleared for brief spells, allowing you to memorise your way forward. These twists tend to form the basis for most puzzles in a level, with a gentle difficulty progression in each one. The stars, though, are the Skylanders and their toy counterparts. Each feels happily different from the others, and you’ll find one that suits how you want to play the game. 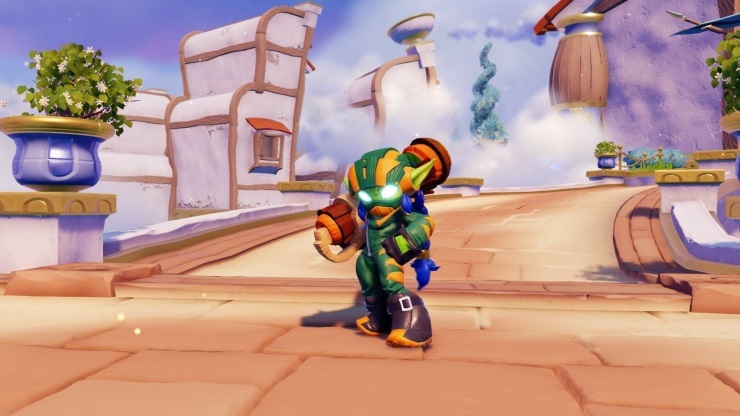 In the Starter Pack is Spitfire, a dragon/demon guy who can get in close to enemies, and Super Shot Stealth Elf who’s armed with a minigun and can turn invisible for a short time, and there’s over 20 new Skylanders to collect, alongside the full complement of past ones who’ll work as well. 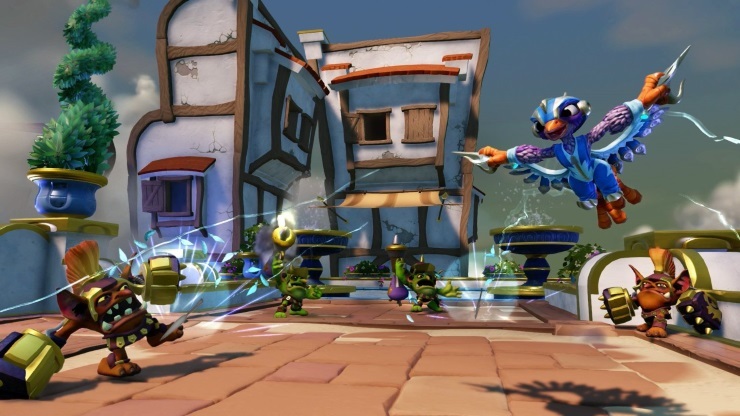 This individuality is helped by the animation, with each Skylander having their own style of movement and little quirks. The toys are great too. Of excellent quality as always, the figures strike action poses while the vehicles have moving parts: cars have working wheels and the helicopter’s blades spin. They are proper toys, and it’s great being able to race toy cars around the table, then pop them onto the portal and have them appear instantly in the game. The whole game can be played in co-op mode as well. The on-foot sections are the same, albeit with two of you, but the vehicular bits see one of you take the wheel while the other handles the weapons. It works really well, allowing for more precision aiming. Sitting on top of all of this are three upgrade systems that add a surprising amount of depth to the gameplay. Characters are customisable with new moves, vehicles with new parts and your portal pad levels up, granting bonuses to coin collection and such. With different currencies for each, and some upgrades only available by finding them in-game, it can be a little confusing though. 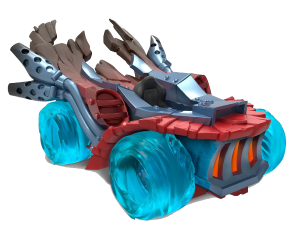 Other bonuses can be found by pairing certain Skylanders and their vehicles, “Supercharging” them, while character types – fire, water, air etc. – are more powerful in certain areas, even if where and when seem a little arbitrarily chosen. Still, the game is packed full of surprises. There’re various secret areas and side puzzles to discover, and you can find a host of items to customise your Skylander Academy base with. There’s even a Hearthstone-esque card game to take part in (by “esque”, I mean “carbon copy”). As good a game as Superchargers is though, it has its issues. The gameplay, while fun, is repetitive and lacks serious challenge – although as a kid’s game it’s arguably unfair to complain about this – and the multiple upgrade systems are a little overwhelming, which as a 23-year-old is a very valid complaint in a kid’s game. 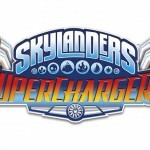 My largest issue is a deliberate design one, however: Skylanders Superchargers makes you very aware of what you are missing. Vehicle sections blend almost seamlessly into the linear levels in the game, which is fine if you have one of each type of vehicle, but if you only have the Starter Pack’s Hot Streak car, listening through the dialogue about a water or air section up ahead only to find out you can’t do it and must look for a route around is frustrating as an adult, and I can’t imagine how it would be for a child. Using children to open their parent’s wallets is nothing new of course, but in the past Skylanders characters have been totally optional – one may be better than another in certain sections, but you could complete the game with any. Here, it feels as though you’re missing out on large sections of the game if you don’t have a certain vehicle, which, to be honest, you are. 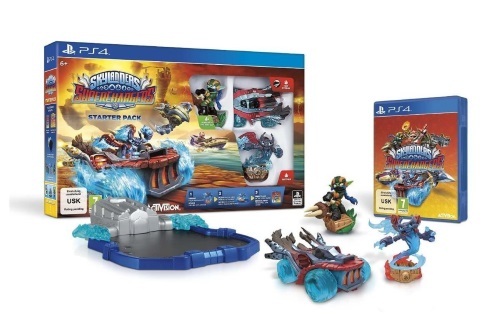 That you need all three types of vehicle to fully enjoy Superchargers isn’t really a surprise though, and even without them this is still a fantastic children’s game, one that they can lose hours to upgrading their favourite Skylanders and vehicles. There’s plenty for adults to enjoy too, provided you don’t go in expecting a serious challenge, and of course it’s something you can play with your child and both have fun with. 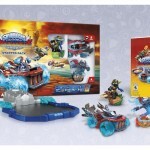 Skylanders may be facing tougher competition this year, but with Superchargers it’s stepped up its game to match. Vehicles change up the gameplay nicely. In your face about what you’re missing. Needs air/water vehicles to get the most out of. Upgrade system a little confusing. 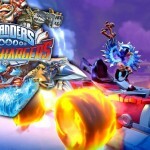 Skylanders may be facing tougher competition this year, but with Superchargers it’s stepped up its game to match.